Hanover/ Friedrichshafen. The logistics industry is overtaking the passenger car sector when it comes to the automation of driving functions. ZF is supporting this trend with innovative concepts and major investments. 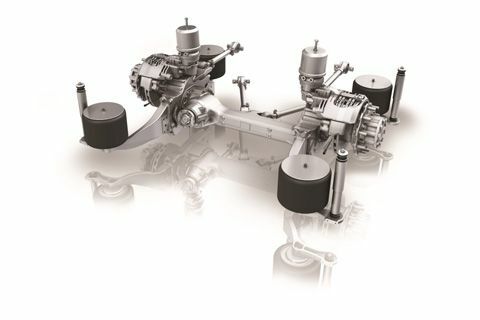 For example, commercial vehicles that are intelligently connected thanks to production-ready ZF technology and equipped with autonomous driving functions capable of independently performing all logistics tasks or assisting package delivery drivers. Autonomous delivery trucks will make package deliveries along the “last mile” more efficient – which will in the future help to deal with rising delivery volumes while reducing traffic in city centers. E-mobility and autonomous driving are strategically very important for ZF and the company intends to invest more than € 12 billion in these areas over the next five years. 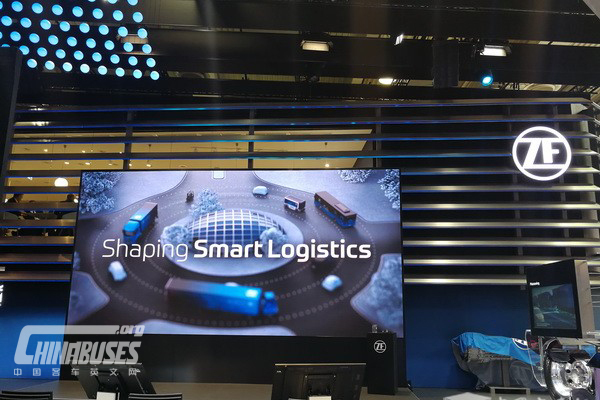 With the headline “Smart Logistics” at IAA 2018, the company has bundled its technologies and – through automation, networking and electrification – has created attractive solutions for the complete logistics chain. Autonomous driving will prevail more quickly in the commercial vehicle sector due to reduced vehicle operating costs while also helping to improve safety and efficiency. Wolf-Henning Scheider, CEO of ZF Friedrichshafen AG, said: “We are revolutionizing the 'last mile' so that packages can be delivered more cleanly, safely and on time. 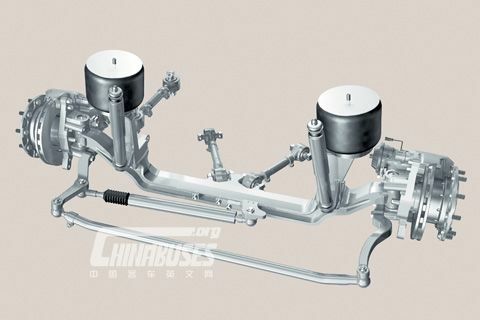 For this reason, we are working together with partners and customers to further develop our concept ready for series production within the next two years. "In order to quickly offer the market our systems expertise in the form of innovative and practical solutions, we will be investing more than €12 billion in e-mobility and autonomous driving alone over the next five years. 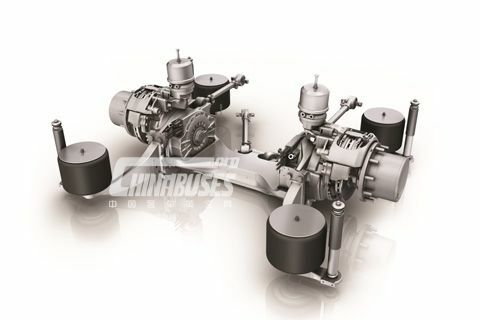 “Despite current challenges in the markets and increased spending for developing new technologies, ZF remains on course. We will achieve our goals for the current year which include our revenue targets, investment increases and reducing debt,” continued Scheider. The “last mile” in parcel logistics is an attractive use case. 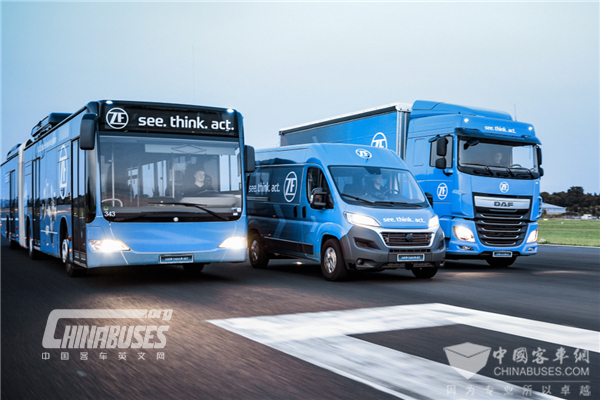 ZF’s Innovation Van has demonstrated how intelligent networking, autonomous driving and an all-electric drive support parcel delivery services in meeting the requirements of the future – especially the rising delivery volumes and the demand for individual delivery. At the same time, such vehicles will also help to reduce emissions and traffic in city centers. This approach has attracted interest within the industry. Scheider added: “We are already in concrete negotiations with several customers.” ZF’s Innovation Van is based on its high-speed super computer ZF ProAI, as well as its sensor set consisting of camera, radar and lidar. The all-electric delivery truck is equipped with level 4 autonomous driving functions and is designed to independently maneuver through city centers, stay in its lane even if without road markings, recognize both traffic lights and road signs and react to sudden hazardous situations. In addition, the Innovation Van can detect and drive around obstacles such as double-parked vehicles. The FollowMe function – which utilizes a tablet-based remote control –is particularly helpful for drivers. If two addresses are close enough that it makes more sense for the delivery driver to stay on foot, the Innovation Van will follow the driver as if on a virtual leash. In addition, if there is no parking available at a certain address, the driver can send the vehicle ahead to the next stop where it will look for a parking space on its own. This will also help to avoid traffic jams in future caused by delivery trucks which are often double parked. ZF’s two latest world premieres – the Innovation Truck and the Terminal Yard Tractor – show how the company is responding to key freight challenges. These vehicles can autonomously maneuver swap bodies, trailers and containers. The driverless, maneuverable vehicle functions improve efficiency, speed and environmental-friendliness at depots, company terminal yards and container ports. On top of that, they can help to reduce accidents and property damage. Lastly, such vehicles can also help address the constantly growing shortage of skilled workers in the logistics industry. The smart logistics approach from ZF also covers zero local emission drives for all vehicle classes. Air pollution in city centers should be considerably reduced. 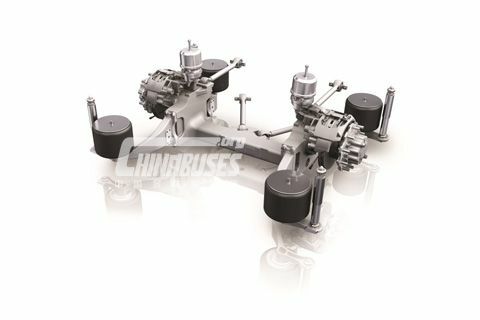 As a response to international requests for quotations for electrically powered buses, ZF - as European market leader - has received orders for more than 1,000 of its AxTrax AVE electric portal axles. These will soon be contributing to 60 million zero-emission passenger kilometers each year in cities like Los Angeles, London or Stuttgart.